2764 N. Green Valley Pkwy. Suite 508 Henderson, NV 89014-2121 Printed on Recycled Paper 10% Post Consumer Scan for Mobile AN EYE ON THE INDUSTRY SINCE 1970 JUNE 2016 Vol. 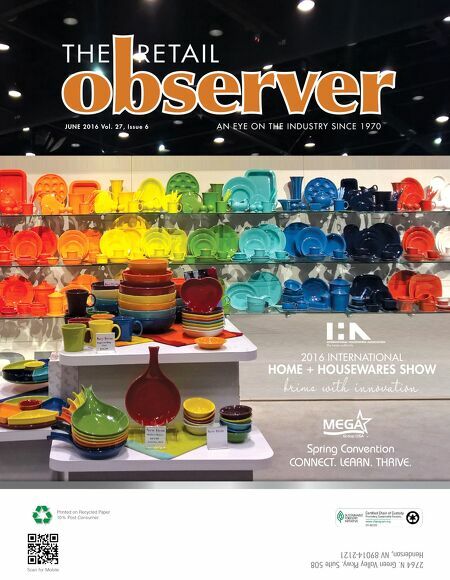 27, Issue 6 THE RETAIL 2016 INTERNATIONAL HOME + HOUSEWARES SHOW brims with innovation Spring Convention CONNECT. LEARN. THRIVE.